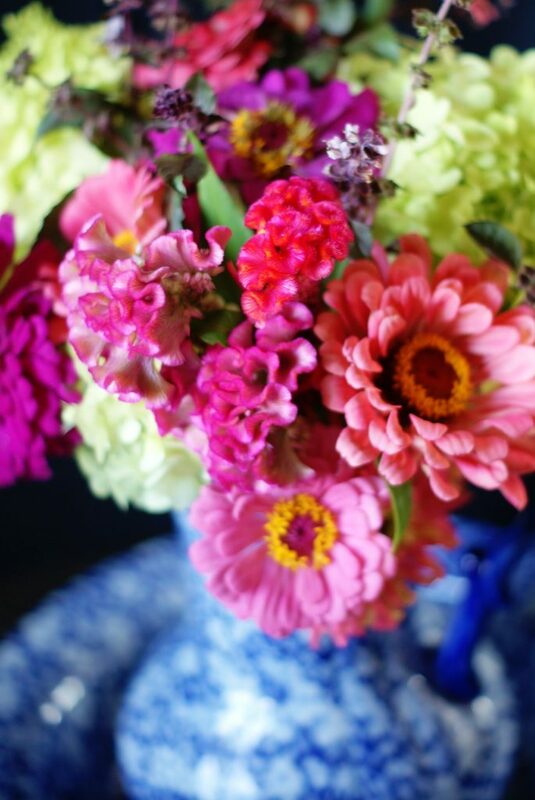 All of us love the idea fresh flowers in our homes, but even the pre-made bouquets purchased at markets and floral departments can seem less than spectacular once freed from their carefully arranged cellophane wrappers. I know I am not the first person to be disappointed buying flowers because by some bizarre trick of the universe there seems to be no absolutely no correlation between how nice flowers look bunched together in their ready-made bundles and how they really look at home in my jar or vase. There has got to be something more than just trimming stem length and stripping most of the leaves that we can do to turn those cut flowers into the arrangements we long for, right? There is. 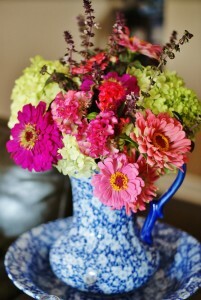 I have 3 simple secrets to share that will help you choose and arrange fresh flowers for your home or party like a pro. 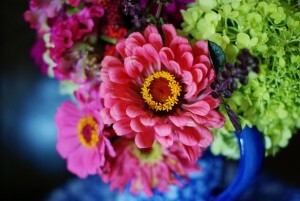 is a pretty foolproof formula when choosing fresh flowers to arrange at home. For this particular arrangement, we chose a variety of blooms all within the zinnia family in varying shades of pink. 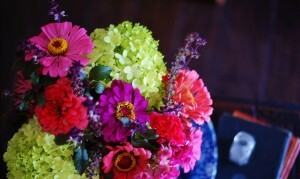 To keep it bright and really make our pinks stand out, green Hydrangea were chosen as accent blooms. Lastly, we chose a purple wildflower as filler. Many times though, greenery is chosen as filler. Texture makes any good arrangement even better. 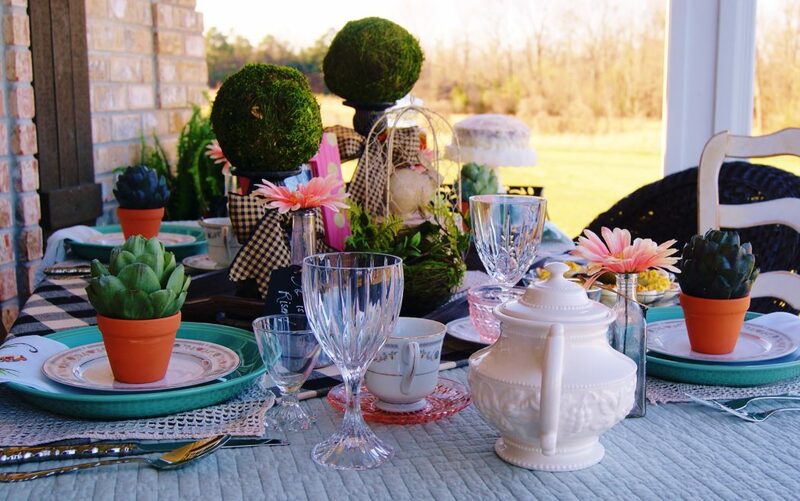 It can give your arrangement a professional look by adding visual depth and interest. Look for a flower (or 3) within your main color family with an interesting or different texture from the majority of the rest of the blooms you’re using. We chose Celosia in shades of our main color family for that “oh so special” element of the unexpected. 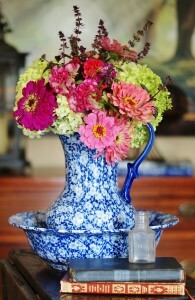 We also decided to use different types of zinnias for added textural variety. Even in color family arrangements, grouping is important. Using the rule of 3, group trios of the same shaded flowers together. I usually begin an arrangement by placing my trios in the jar or vase first, then filling in between with my accents, texture, and filler last. These 3 little secrets are perfect not just for using, but also for upgrading those pre-made bouquets you find in floral departments and markets. To make a full arrangement, use the pre-made bouquet as a good base and simply add the elements that are missing. Need more of one color to create a main color? 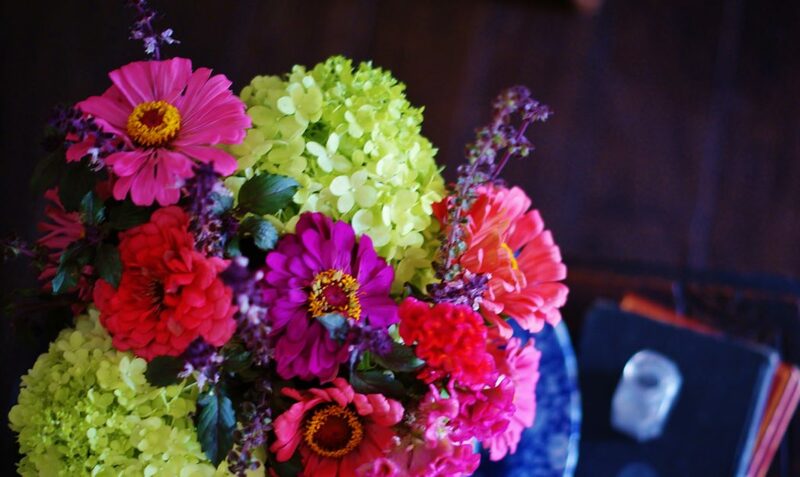 Grab a small bundle of blooms in the color you need. Missing filler? 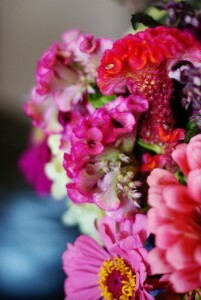 Look for a bundle of greenery or airy wildflower to add to your bouquet. The same goes for texture. 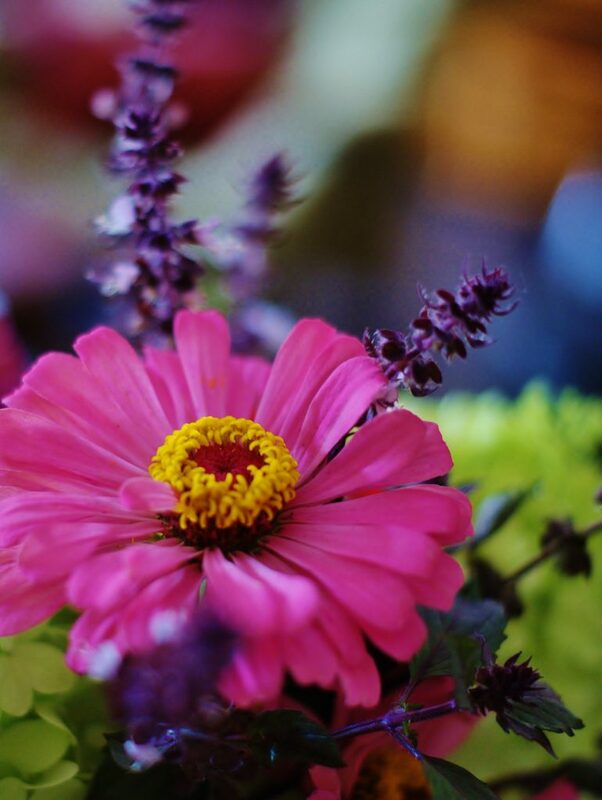 Look for stems whose flowers have a different texture, smooth or frilly, from the majority of flowers in your pre-made bouquet. 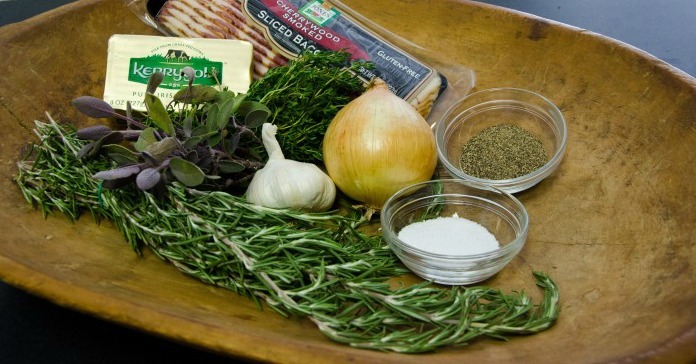 Professional arrangements can be expensive for the everyday budget. But with color, texture, and grouping as your rule of thumb those floral department bundles can easily be transformed beyond their cellophane-wrapped disappointment into those wonderful full arrangements that we’ve all been dreaming of. NextHas It Really Been That Long? 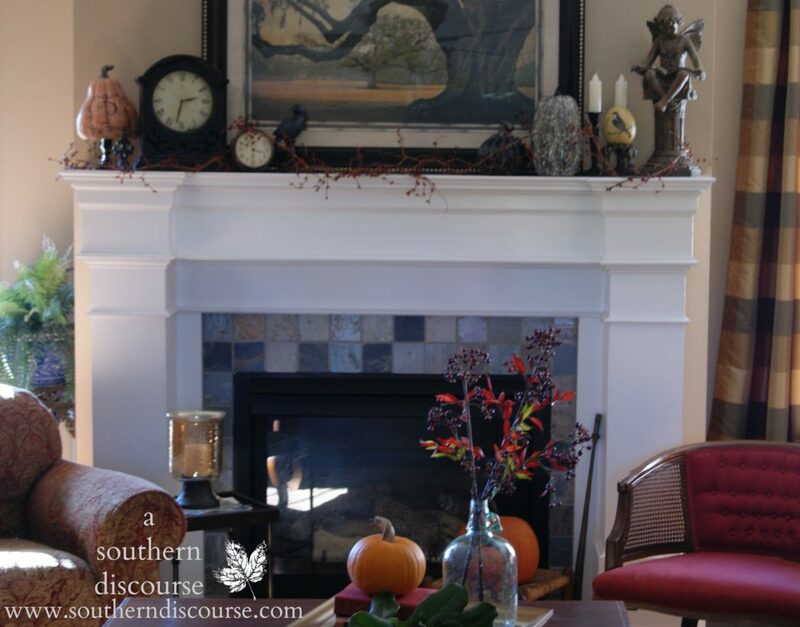 What is a Gracious Thanksgiving Hostess? Lovely pictures and great tips.